We were able to book a fairly cheap flight to Puerto Princesa. Php1150.33 MNL to Puerto Princesa via AirPhil and Php749.52 Puerto Princesa to MNL via CebuPac. 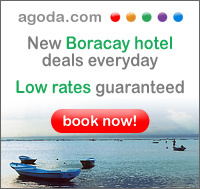 We booked 2 rooms for 2 nights at GoHotel for Php1412. As I scoured through the internet for places to visit in Puerto Princesa, I came up with the itinerary below. I had to fit most of the must-see places in 2 days since we have a morning flight on our last day. But, of course, that was the plan. Some unexpected things happened and we had to adjust. We decided to forego the Firefly watching as the bridge going there was said to be under construction. Our Honda Bay lacked Snake Island which I was looking forward to spending time bathing under the sun, because it was closed as DENR is doing some conservation activities in the island although some locals say that Willie Revillame had it closed for himself. Our City Tour was just at Crocodile Farm and Baker’s Hill since we were not so much into the other sites for the tour (or maybe we were all just eager to go back to the hotel and freshen up).